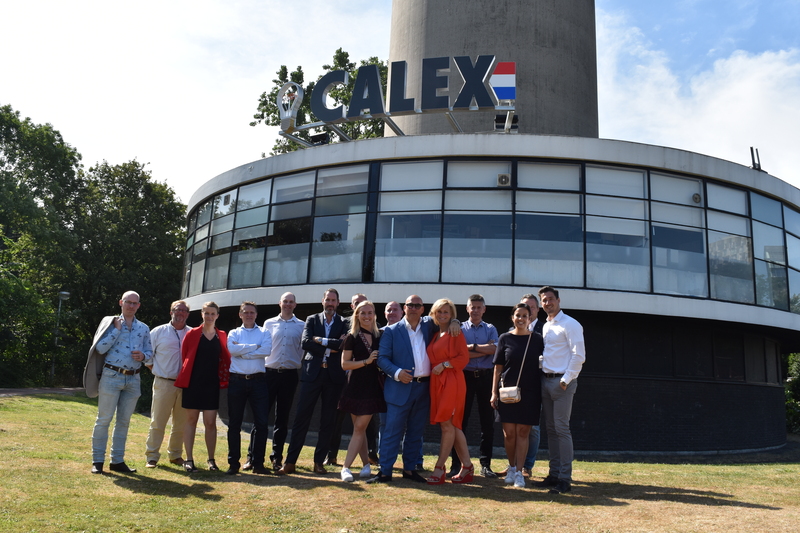 Rotterdam; A city with worldwide status, an important port and the home of Electro Cirkel Retail with Calex , their flagship brand for light sources. Owner Rudolf van Soelen and his sister Angeniek are always open to explore interesting local partnerships, so when Willem Tieleman, the new owner of the Euromast, came up with the proposal to light op the building with lights and logo, the papers were signed with great enthusiasm. on Thursday the 5th of July it finally happened; The unveiling of the lettering on the Euromast. The ambiance creators will replace the standing Heineken logo on the restaurant section of the building with their own logo and light. Curious to see what it looks like and the making of?